Lady Gaga confirmed for the first time in public that she is engaged to Christian Carino at the 2018 Elle Women In Hollywood event on Monday evening at the Four Seasons Hotel in Beverly Hills, California. A 49-year-old talent agent, Christian Carino was previously married to Brooke Baldwin and has a daughter named Bella Carino. Lady Gaga was previously engaged to Taylor Kinney, an American actor and model. 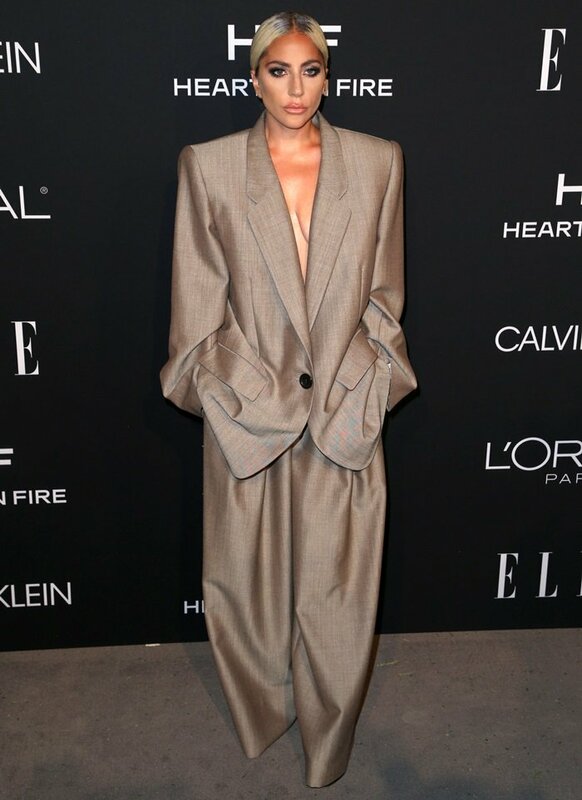 For ELLE’s 25th annual Women in Hollywood celebration, Lady Gaga donned an oversized suit from the Marc Jacobs Spring 2019 Collection. 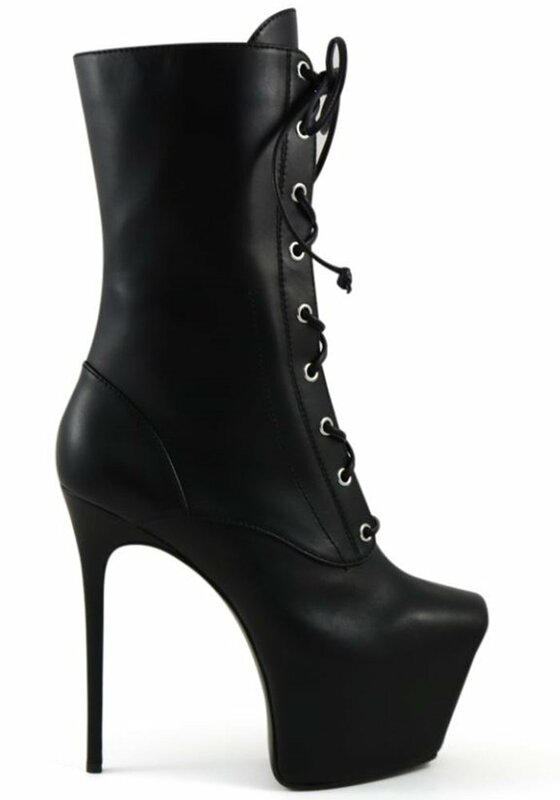 She completed her outfit with custom black leather platform lace-up booties from Giuseppe Zanotti. “I tried on dress after dress today getting ready for this event, one tight corset after another, one heel after another, a diamond, a feather, thousands of beaded fabrics and the most beautiful silks in the world,” Lady Gaga explained. 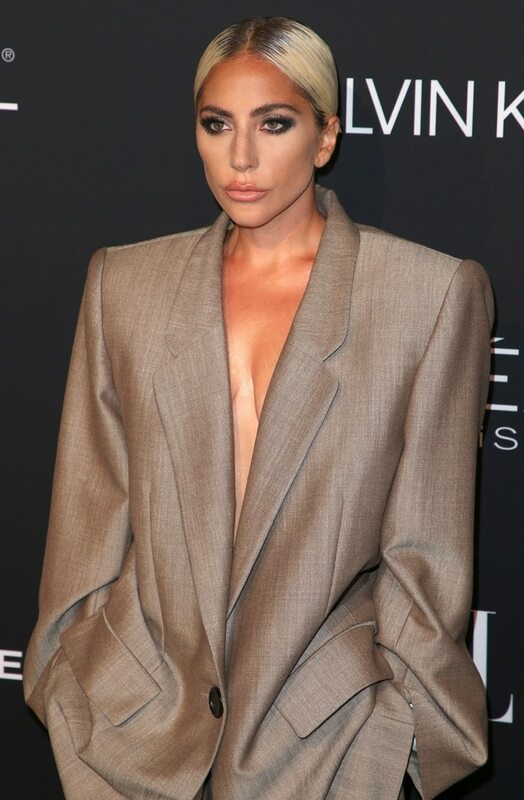 She continued, “This was an oversized men’s suit made for a woman. Not a gown. ‘And then I began to cry. In this suit, I felt like me today. In this suit, I felt the truth of who I am well up in my gut. And then wondering what I wanted to say tonight become very clear to me.” “As a sexual assault survivor by someone in the entertainment industry, as a woman who is still not brave enough to say his name, as a woman who lives with chronic pain, as a woman who was conditioned at a very young age to listen to what men told me to do, I decided today I wanted to take the power back. 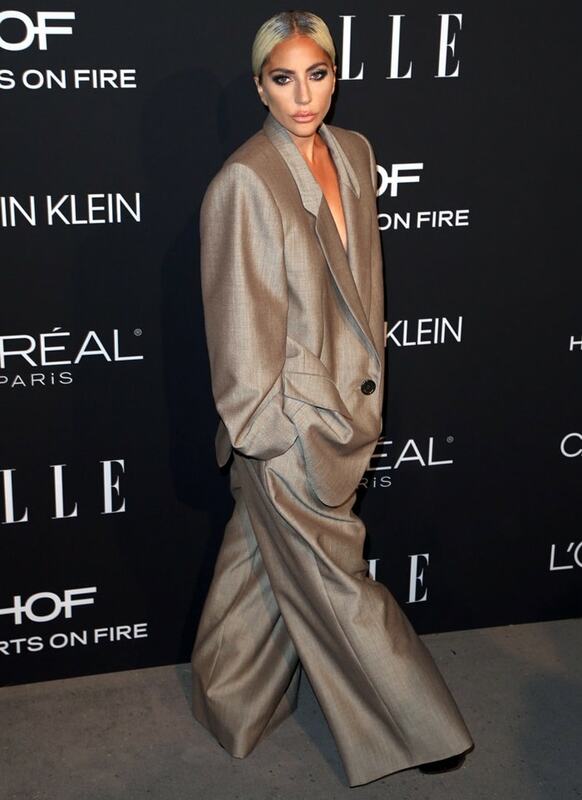 Today I wear the pants,” Gaga added.